Psychology is the study of the mind and behavior, and it applies to everybody. 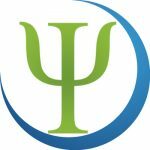 Psychologists are extensively trained mental health professionals that use a variety of techniques and interventions to help you achieve your goals and reach a state of optimal well being and health. They are your partners along your life journey. Why Work with a Mental Health Professional? | What to Expect from a Mental Health Professional?